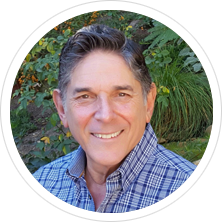 I have been selling real estate now for 25 years and have intimate knowledge of Silver Lake, Los Feliz and the surrounding neighborhoods. Having worked in the hotel business for 15 years managing prestigious hotels throughout the United States, I have come to know what giving personal and professional service entails. Each client is treated like a VIP hotel guest offering superior services from Check in to Check out. I will be with you every step of the way from showing property to writing the offer, negotiating the sale, opening escrow, inspections, loans, and finally closing. Let me show you how I can put this experience to work for you. I wanted to thank you for the great work you did in helping me find my first home. At all times you were responsive, honest, thorough, and “there”. I would be honored to refer you to any potential buyers and sellers. I’ve known Ken for more than a dozen years, and I see him regularly at community events. He’s been a go-to resource for anything I needed to know about real estate, home values, Silver Lake, Echo Park and the general history of L.A. I especially like how Ken gives you straight-up information, and is always thinking of ways to improve your house and the community. Ken was wonderful with listing our home in Los Feliz. He was active in promoting it and helped with the sale. I definitely recommend him for your real estate needs. Ken Winick. What a class act. I lived in my dream home for 10+ years. Then I met a lady. Somehow I convinced her we should move in together. But I’d need a new place since mine was 1300 sq. feet. He got me a 2500 sq. foot home, with wow factor. Not only did we win a bidding war, but he then sold my old home for 2/3 the value of the new place. That’s a substantial step forward with my real estate investment. Twice the space, just as dreamy. It wasn’t easy, but with Kens guidance it felt seamless and he always found a way to get me what I wanted or needed. Please feel free to contact me for any of your real estate needs.